Laota Spring has a variety of the best bloodlines available in the North East corridor. Our stallions include the Belagio del Cedro and Espiritu de Emerald Valley. Our mares are Chaperona del Conde, Merenguera DWH, Emperatriz de Oro Espanol, Cosita Linda del Conde, and Reinita de Oro Espanol. 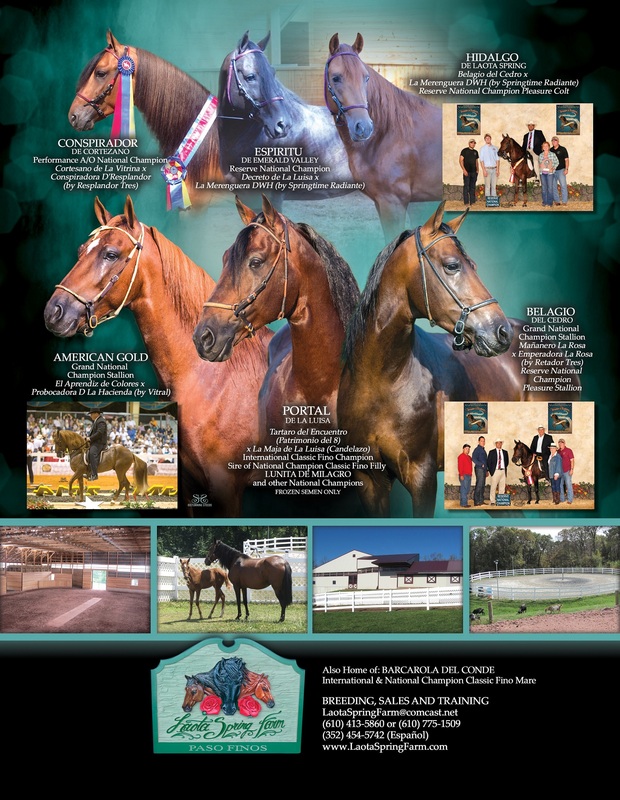 Our colts include: Hidalgo de Laota Spring, American Gold, and our 2012 colt. Our teaching geldings are Casanova Elegante, and Noah Estelar.